You have probably heard that getting enough sleep is important not only for your general health, but also for weight loss. Have you ever wondered why, though? Do you know how the two are connected? Why Is Sleep So Important For Weight Loss? Skimping on sleep can be detrimental to your weight loss for a number of reasons – even if your macros are on point and you’re smashing it in the gym, it will still slow down your progress. Of course, sometimes life gets in the way of a good night’s sleep, and you might not always be able to avoid that – if it’s only occasional (occasional in this case meaning 1-2 times a month or less, not 3-4 times a week), the harm won’t be that big. However, if you’re not getting enough sleep day after day and week after week, that would definitely slow down weight loss. Sleep deprivation or poor sleep quality can lead to a reduction in leptin and increase in body weight (1, 2, 3, 4). Cortisol, commonly known as “the stress hormone”, is not the enemy as such – in fact, it plays an important role in regulating blood sugar, insulin secretion and blood pressure, and its production is necessary for your body to function normally. Nevertheless, disrupting the cortisol cycle can have a negative impact on weight loss, and elevated cholesterol (resulting from insufficient sleep, or too much stress) will both increase your hunger and make your body hang on to fat (5, 6). It also has an effect on where your body stores your fat, and the fat that you gain from too much cholesterol in your blood is more likely to be stored in your abdominal area (7). You have probably noticed that each time you haven’t slept enough, it’s much more difficult to say “no” to temptations and to stick to healthy food (8). As discussed above, elevated cortisol will increase your appetite, and in addition to that, fatigue will make taking the right decisions that much more difficult (9). If you’re exhausted from a lack of sleep, you want to eat something comforting that brings you instant pleasure, which the hyper-palatable junk food that’s engineered to override satiety signals is very good at. Which is why your cravings for junk food or carbs will be stronger, and you’ll have a more difficult time making the right choices. If you’re feeling tired, you’ll naturally want to move less and to preserve your energy, and are much less likely to want to exercise (10, 11). Working out after having gotten only 4 hours of sleep sounds like a torture, right? You’re much less likely to want to get moving if you’re sleep deprived, and will probably opt for having a nap instead. Which isn’t so bad, because it will at least help you repay your “sleep debt”, but you’ll just end up with less time for exercise. Even if you actually go to the gym, being sleep deprived will make your performance suffer – you’ll get tired quicker, and your endurance and strength will also take a hit (12). Moreover, you might be more prone to injury and improper form on the different exercises, so it might actually be a good idea to take it easy. If you’re aiming for optimal performance and energy levels, getting sufficient sleep is a must (13). Even just a couple of days of not getting enough sleep makes you more insulin resistant, which means that your body will store fat easier and you’ll feel hungrier (14, 15). Insulin sensitivity is essential for weight management and for general health, and it will lower your risk of type 2 diabetes, metabolic syndrome, and obesity. The keto diet is already an excellent aid in improving your insulin sensitivity, so your best bet is to not sabotage your body’s efforts to self-regulate – give it enough sleep, night after night, and you’ll notice the difference. The amount of sleep we need to feel well-rested will vary from person to person, and also changes during one’s lifetime. The general consensus is that most people should be getting anywhere between 7 to 9 solid hours of sleep each night. How Does The Keto Diet Affect Sleep? One of the side effects of keto is temporary insomnia, which can last from a couple of days to 3-4 weeks. It will resolve with time, as your body gets fat-adapted. However, it can be pretty frustrating at first, especially given that it has an impact on your weight loss, too. Additionally, some people notice that they tend to need less sleep when doing keto, for example, on keto they might need 7 instead of 8 hours, and still wake up well-rested. There aren’t any studies on that for the moment, so evidence is only anecdotal. However, if you notice that you’re waking up naturally and if your physical and mental performance aren’t suffering, chances are that your sleep needs have evolved slightly. This might be only temporary, though. 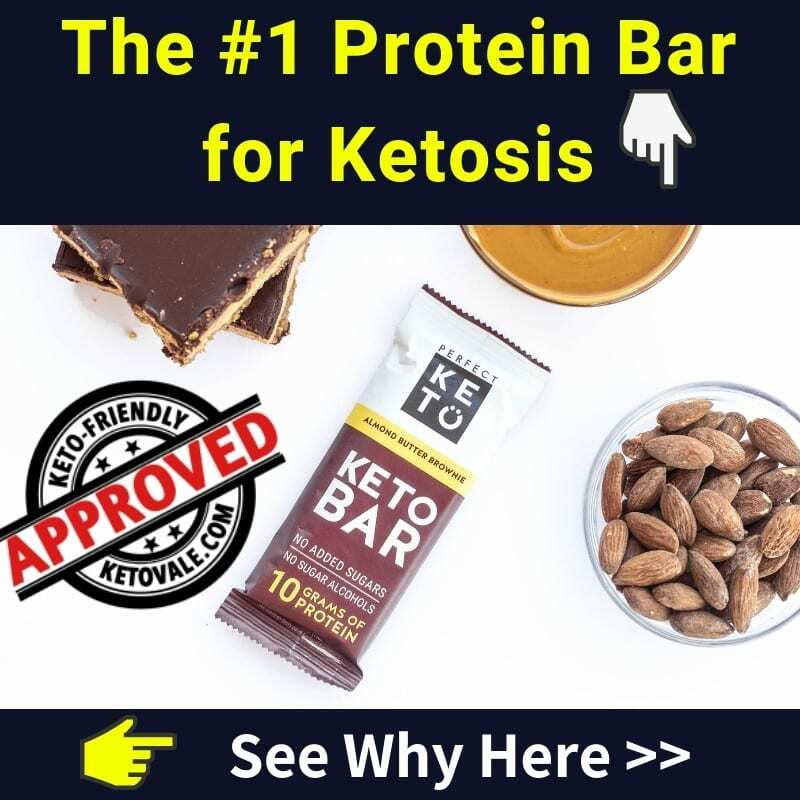 Electrolytes are very important on keto, as they are getting flushed from your system at a higher than usual rate. This is why you need to make sure you’re replenishing them adequately. One of the side effects of an electrolyte imbalance is restlessness and insomnia, which might be combined with other symptoms, such as rapid heartbeat, muscle cramps, and feeling overly alert. If you’re experiencing any of these symptoms in the evening or at night, make sure that your electrolyte intake is sufficient. Magnesium, which is one of the electrolytes you need to make sure you’re getting enough of, has a calming effect, so we recommend getting at least half of your daily dose before going to bed (16, 17). Additionally, magnesium is very important for the proper functioning of muscles and will help prevent night time muscle cramps, if you’re prone to these. Going to bed on a full stomach can feel quite uncomfortable and will definitely not help you fall asleep quickly, especially if you feel uncomfortably full. Make a point to eat your last big meal of the day 2 or 3 hours before bedtime, in order to let your body rest and not be busy digesting food. If you’re prone to GERD (Gastroesophageal reflux disease, which affects a big portion of the Western population, peaking to 50% in the mid-90s), eating close to bedtime will make things worse, even if it’s just a snack (18). Otherwise, if you’re feeling exceptionally hungry before going to bed, a small snack can help with that (a couple of cherry tomatoes, a few almonds, half an egg, etc…). We have previously covered collagen, and if you’ve read our article on it, you’ll probably remember that it’s beneficial for sleep. Taking some collagen supplements or gelatin an hour before going to bed will improve the quality of your sleep, and will have a general calming effect. This is because collagen contains glycine, which also helps combat fatigue during the day (19, 20). The evenings should be for relaxation, and this is one of the most important strategies that you can incorporate in your life in order to improve your sleep hygiene. Don’t leave work for the evening, and especially if it’s something that feels very stressful and unpleasant. Do it on a fresh mind on the next morning instead – you’ll be more productive, quicker, and less prone to making mistakes. If you’re going through a stressful period of your life and are tossing and turning for long hours because of that, you can try a very simple trick – write things down. Have a lot to do tomorrow and are afraid to forget about something? Write it down so that you can “forget about it” for the evening. As for strenuous physical activity, some people prefer working out in the evenings, and if that doesn’t impact your sleep negatively – go for it. However, for others this might lead to post-workout insomnia and restlessness, so if you’re new to working out, try out different times of the day to see what works best for you. Either way, slowing down an hour or two before bedtime is a good idea. If you’re usually working out in the morning but haven’t had the time for it, there’s nothing wrong with going to the gym in the early evening once. If you do it often, chances are, your body will adapt to it anyway and it won’t prevent you from getting a good night’s sleep. Blue light has a negative impact on the production of melatonin, the hormone that helps you fall asleep, and one of the major sources of blue light in our lives are electronics – cell phones, computers, tablets, and so on. That’s why it’s a good idea to limit your screen time before bedtime, and to stop using your devices an hour before going to bed (21). If you feel unable to do that or uncomfortable with the thought of not checking your gadgets before going to bed, you can at least use an app that blocks some of the blue light. While at the moment there aren’t studies proving that these apps are effective, it hasn’t been disproven either, and it’s something that you can definitely try, if you’re having a hard time falling asleep. Keep in mind that the various devices you’re using have another effect on sleep which can be as significant as blue light – they’re keeping your mind alert and wired, which can make falling asleep even more difficult. So do yourself a service and limit your exposure to them. Your body likes predictability and does very well on a relatively rigid schedule when it comes to sleep. Go to bed at approximately the same time every day, and wake up at the same time, too. If you stick to that – yes, even on weekends, for the best results – you’ll notice how much easier it becomes to fall asleep. Your daily hormonal cycle will adapt to your schedule over time. Eating the bigger part of your carbs for the day closer to bedtime (f.e. keeping 15 g net carbs for dinner) might help you fall asleep easier. Coffee stays in your system for a number of hours, so it’s a good idea to limit it to the morning hours, or to 2 PM the latest. 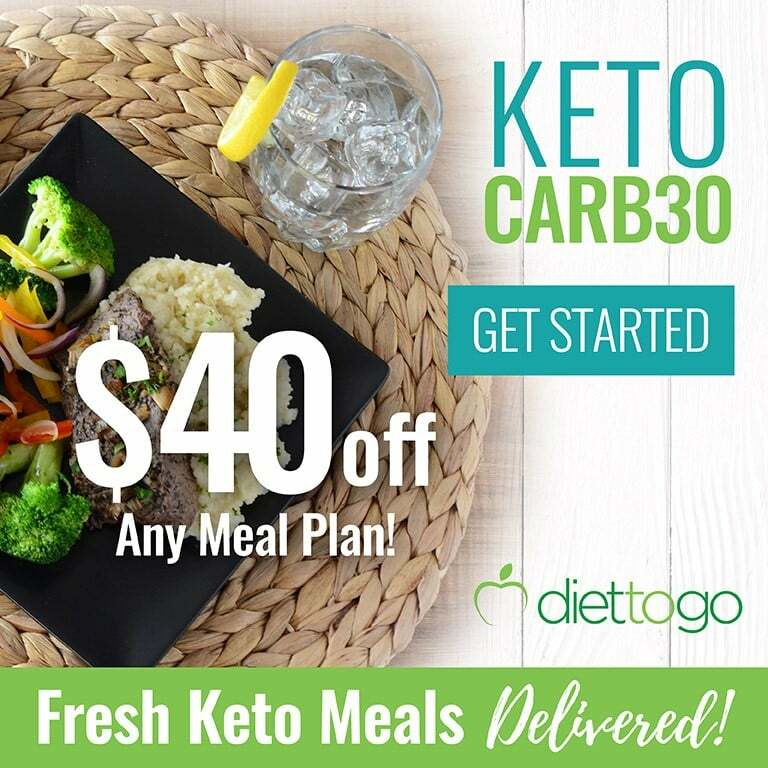 One of the positive effects of keto is that you won’t be suffering from blood sugar swings and crashes, and will feel more energized in general. Chocolate also contains caffeine, and while it’s nearly not as much as a cup of espresso, it could still have an impact on your sleep, if you’re sensitive to it. Making sure you’re getting enough sleep on a regular basis is one of the most important ways in which you can improve your health and optimize your weight loss, as well as mental and physical performance. Making your own health a priority in your life will actually help you deal better with everything else that life gives you, and sleep is an essential part of it. So make a point to say “no” to distractions before bedtime, and find a way to optimize your schedule in a way that doesn’t push you into getting 5 or 6 hours of sleep on a regular basis. As you could see, sleep is super important – both for your general health and for weight loss. Not getting enough of it on a regular basis will have a detrimental effect on your weight loss progress by making you eat more, move less, and by pushing your body to store more fat, and will also increase your risk for a number of diseases. We all know that it’s difficult – or downright impossible – to get enough sleep each night, 365 nights a year, however making sleep a priority and making sure you’re getting enough rest most of the time is an integral part of staying healthy and fit, as well as of feeling and performing well. Are you sometimes struggling with insomnia? What are your tips and tricks for combating it? Share with us and with our readers your methods for ensuring a good night’s sleep!